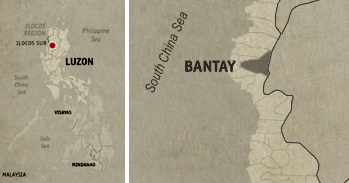 The hunt for Tuguegarao’s iconic pancit batil patong continues even as we travel. This time, while in Vigan City, we quickly googled through the interweb, looking for traces of this noodle dish near the the area. 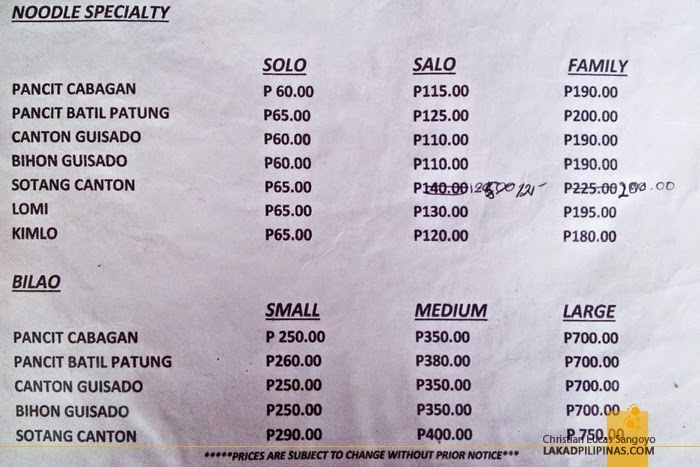 Since we were in the northern territories of the Philippines, we thought that the chances of a panciteria selling our favorite pancit would be quite high. Right? Our web search turned up zero results. It wasn’t until our second to the last day of exploring Vigan when we chanced upon a security guy from Hotel Luna, Sir Medrano we called him. After accidentally finding out that he hails from Cagayan Valley, we immediately asked if he knows a panciteria selling pancit batil patong in Vigan City. Well, not exactly in Vigan, he says, but I know one near Bantay Church, which in all practicality is almost part of the city. 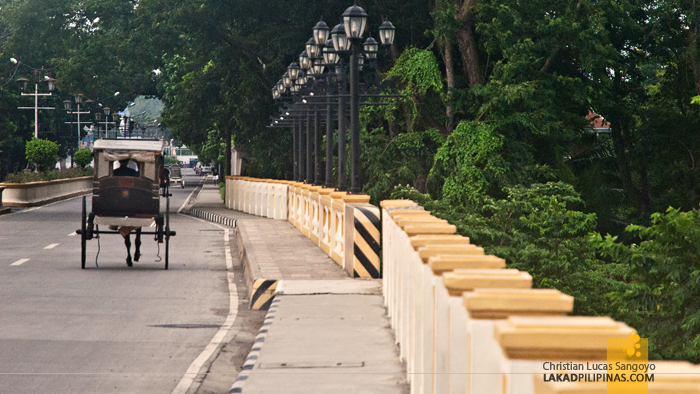 That same afternoon, on foot, we traversed the Meztizo River and went out of Vigan City. We desperately wanted a plate of pancit batil patong. 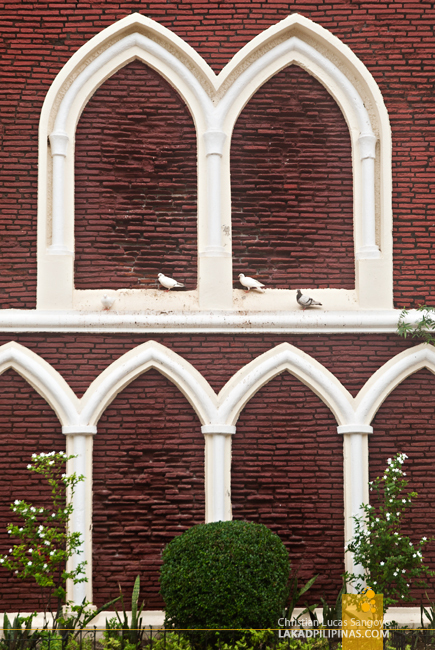 We arrived at Bantay Church, which is about ten minutes away from Vigan’s Plaza Salcedo, just before sunset. While waiting for the sun to retire, we decided to have a light (light?!) snack at the said panciteria. Flowerscents Garden Café it was called. 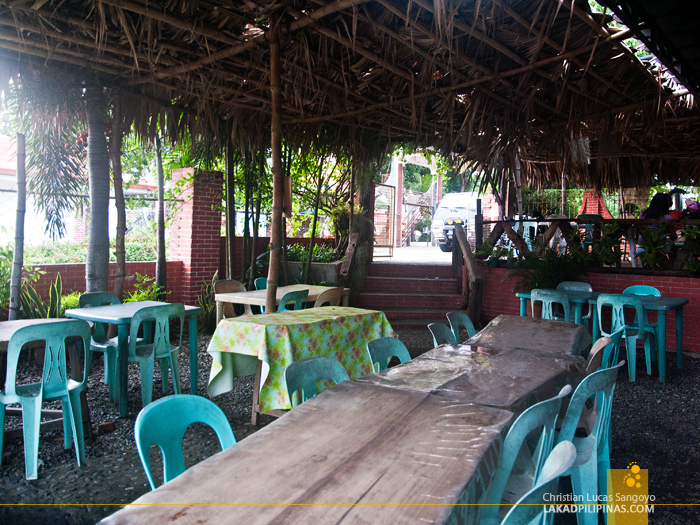 Its location cannot be more convenient, it sits right beside Bantay Church, on the highway side. Great! The café has a very simple lay out. Plastic Orocan chairs, some wooden tables, gravel floor and thatch roofing. We quickly made ourselves comfortable and proceeded to order. Like most legit panciteria, they only have noodles on their menu; pancit cabagan, batil patong, bihon and canton guisado, sotang canton, lomi and kimlo. I can’t believe that they also have pancit cabagan! Nice! I was also piqued by that kimlo noodle, but for some reason, we overlooked it and wasn’t able to check it out. Serving time was quick enough, and soon two huge plates of Cagayan Valley’s noodle dishes were steaming across our table. We tried the pancit cabagan first (Php115.00 – Salo, good for two to three persons). It was a bit saucier than pancit batil patong, but C said that it actually should be soupier. Being in Ilocos, I guess they can’t help but top the dish with bits of bagnet, which is really no problem for me. I say, add some more please! Besides that, it was also garnished with generous amount of spring onions, bean sprouts, carrots and other veggies that I can’t recognize. Some kikiam bits can also be found and two poached eggs right on top. 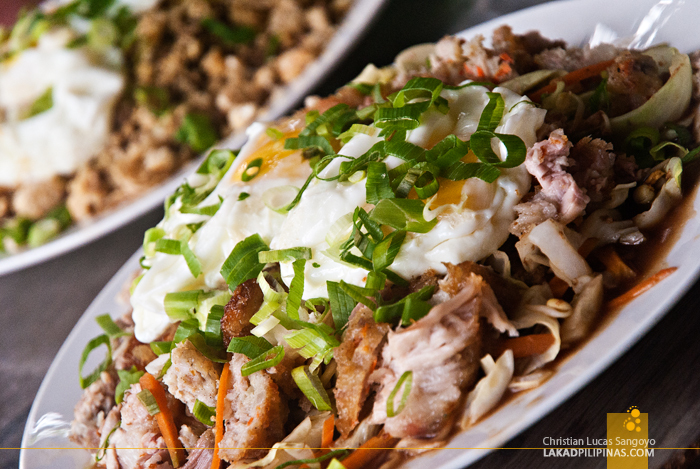 The pancit batil patong (Php125.00 – Salo, good for two to three persons) was also enormous. 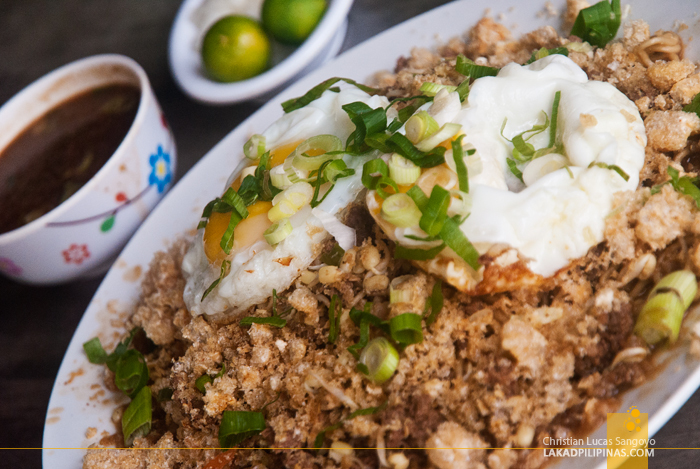 Besides the usual egg toppings, it was also sprinkled with generous amount of crushed chicharon and a dash of spring onions. The noodles, which came all the way from Cagayan, is mixed with bean sprouts, just the way I like it. The standard batil soup and chopped onions were also present. And the taste? We were five in the group, three of which were first-timers. Two voted for the pancit cabagan and three ayed for the pancit batil patong. While I did vote for the latter, I find both dishes to be quite excellent. 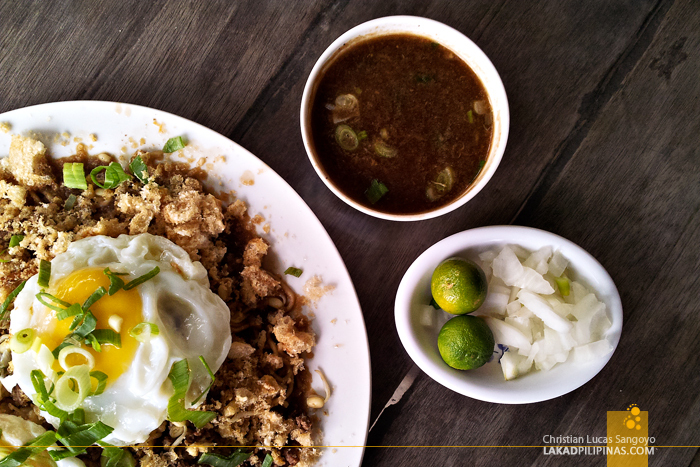 It has a certain Ilocano flavor infused within, but it still retains the spirit of the famed Cagayano noodles.